Asuoden Empire releases another street anthem from their frontliner, Pope Skinny. 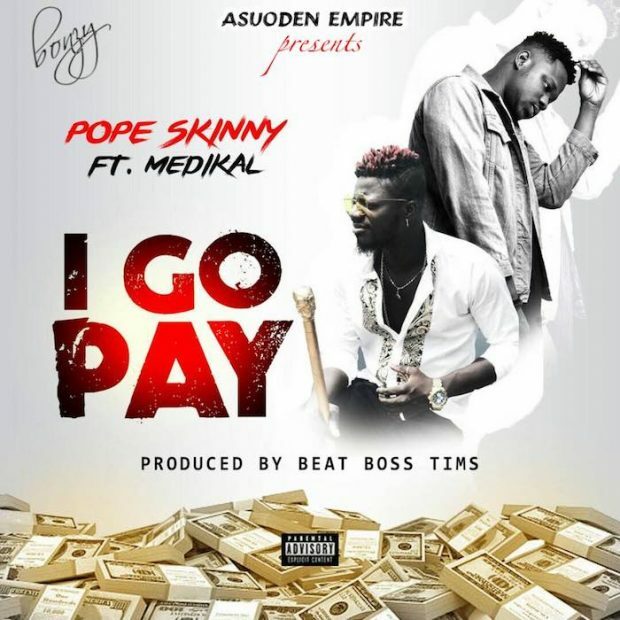 He recruits the Adwee Ba hitmaker, Medikal on this new one titled I Go Pay. The tune was produced by BeatBoss Tims.